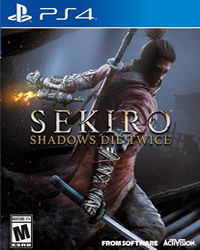 In Sekiro Shadows Die Twice, there are many bosses. In this guide we want to show you all the bosses, including tactics, tips and videos. When you meet a new final boss, you should first do a practice run, focusing on dodging and blocking without attacking. As a result, you learn the particular attack pattern and when it comes an attack. For defeating some bosses you will also unlock trophies and achievements! Here you can find our 100% trophy guide to the game. Tactics: Sneak over the rooftops on the left without being discovered by General Naomori. Sneak up from behind and stab him in the back. Then attacks with standard attacks, so R1 / RB and if he attacks you, blocks his attacks. Tactics: Kill all the smaller enemies in the area first. Before you go to the ogre, do the two guards at the end of the stairway. Once you've gone up the stairway, go around the left corner to kill one with a spear. When the ogre attacks, push the left stick upwards and dodge twice (circle, circle / B B). This will take you behind the ogre's back where he can not meet you. Tactics: Ignore the boss and eliminate all mobs in the area. If the adds are dead, go back the way and escape the boss’s sight. Then come back and sneak up behind his back, with an attack from behind you can do him some damage immediately. Then use the same tactical as the ogre.